Morrissey continues to be the ‘George Lucas’ of pop by fiddling with releases when the opportunity arises to reissue them. Following on from last year’s Viva Hate travesty, 18 April sees the reissue of his disappointing second album, 1991’s Kill Uncle. The front cover has been replaced entirely by the faux-sixties creation pictured above, and two B-sides have been added in the shape of Pashernate Love and East West. What was the last track of the album – There’s A Place In Hell For Me And My Friends – is replaced by a previously unreleased ‘live in the studio’ version. The album has been remastered by Bill Inglot and is available as a CD in a gatefold card wallet or 2LP gatefold vinyl. 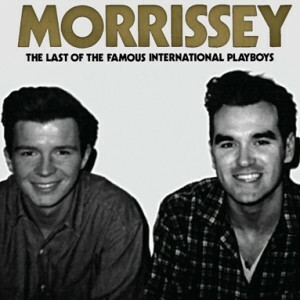 For reasons unknown, Morrissey has also chosen to reissue his 1989 Last Of The International Playboys single on the same day as Kill Uncle. It boasts another new cover, featuring Rick Astley, no less, and will be available on CD single and various other formats, backed with new live tracks recorded at the BBC. Boy, Moz makes it hard to be a fan, doesn’t he? With the benefit of distance, KU isn’t such a bad album, though obviously a disappointment after the joys of Viva Hate & Bona Drag, but it was always notoriously short (32 minutes IIRC), so the very notion that he couldn’t include every B-side and tracks from the accompanying/surrounding singles is ridiculous… I’m even wondering if the “Live-in-Studio Version” of There’s a Place in Hell for Me and My Friends might not just be the KROQ version from the My Love Life single…? “continues to be the ‘George Lucas’ of pop”… LOL!!! I love that! 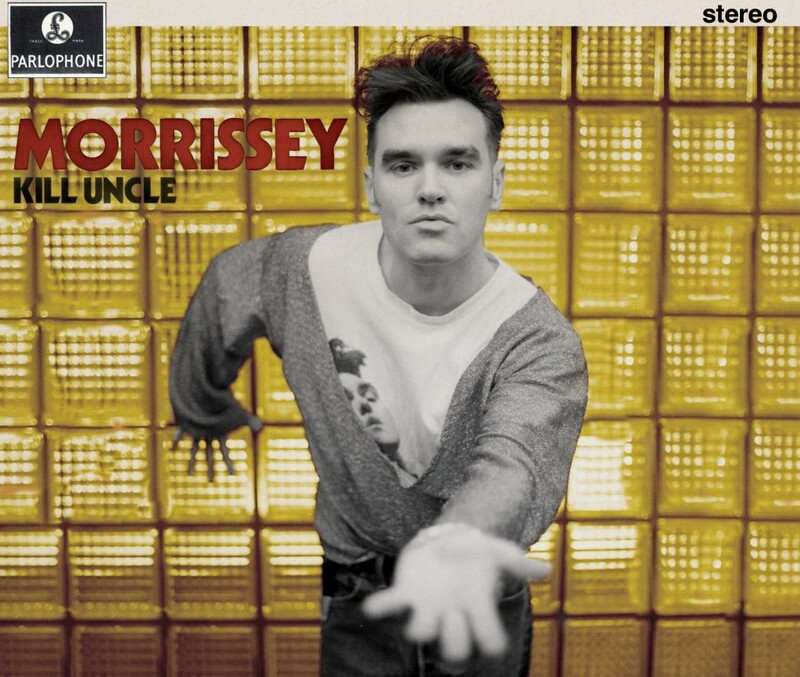 Contrary to many others, I quite like “Kill Uncle”, but that re-issue seems absurd! Why not re-publish it in the old version with a bonus disc with b-sides and some unreleased material (if there’s any of that period)? I’m sick of these Moz reissues without new tracks, it was so hard to include a bonus cd with rare, demos, b-sides, etc… ? He WAS in the news lately when Bowie had refused a shot of him and Moz for the cover of the Playboys reissue. Not sure what was wrong with the boy up the tree sleeve that everyone knows from the original issue. You’re right though, he does like to tinker at every opportunity – and like Lucas the results aren’t always positive (although many would argue it’s hard to polish the turd that was “Kill Uncle”).